7 years ago, our Vicar decided to disciple an Iranian Asylum Seeker. Through their regular one-to-one meetings they decided they wanted to reach other Iranians in our local area through a Farsi-speaking lunch and bible study. They would go out to local hostels and other meeting places and invite them to the church, where they would eat together and study the bible. In the early days they had about ten Iranians join them each week. As the years went on, the numbers increased to about seventy Iranians. This meant that they had to adapt, not only in space but also in their delivery. They moved from the office space into the church building on Fridays and started cooking traditional Iranian meals for a larger group. The Iranians became part of the church family, not just on Fridays, but also on Sundays too. They had the privilege of seeing many of them get baptised and confirmed. In 2017, the Farsi-speaking bible study became a new congregation, led by two of its original members. It has changed slightly, as it is now run like a church service including worship, sermon and prayers. They have also had to change the food they serve (due to numbers), so now they have Iranian breakfast together before the service starts. 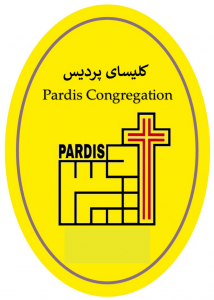 In 2019, they have renamed the congregation to Pardis (which means ‘Paradise’ in Farsi). The majority of the Iranians that attend are Asylum Seekers and face many difficulties, which has caused a few challenges within the congregation. The main challenge is that numbers rise and fall due to many members being sent to other cities. Moreover, when they get their Refugee status, some are not able to attend anymore, due to work or college commitments. This uncertainty about their futures means that raising up new leaders is an uncertain task also. Despite this challenge, the team are seeing fruit within the congregation. There are currently about twenty-five members attending each week, who are all learning what it means to be a follower of Jesus. The team have seen the congregations’ members live out their relationship with Jesus through serving within the church, whether that is leading a games night, to making tea and coffee. We are thankful for what has happened with Pardis so far, and excited to see what God has in store for us in the years ahead.